A purported image of the next-generation iPhone’s rear shell obtained by Apple Club shows a more strengthened rear shell. The image that you see below shows the current iPhone 6 rear shell against the iPhone 6s rear shell, as well as the iPhone 6 Plus against the iPhone 6s Plus. The rear shell is identical to the iPhone 6 on the exterior, including the same thickness and width. The leaked photos show that the all the connectors and buttons are located in the exact same position, which isn’t surprising because the “S” model iPhones have historically looked identical to the previous generation. The interior of the casing includes a different mounting structure that suggests a new logic board and other components are incoming. The next-generation iPhone is rumoured to include an A9 processor with 2GB of RAM, Force Touch, 7000 series aluminum, and an improved 12-megapixel rear-facing camera. 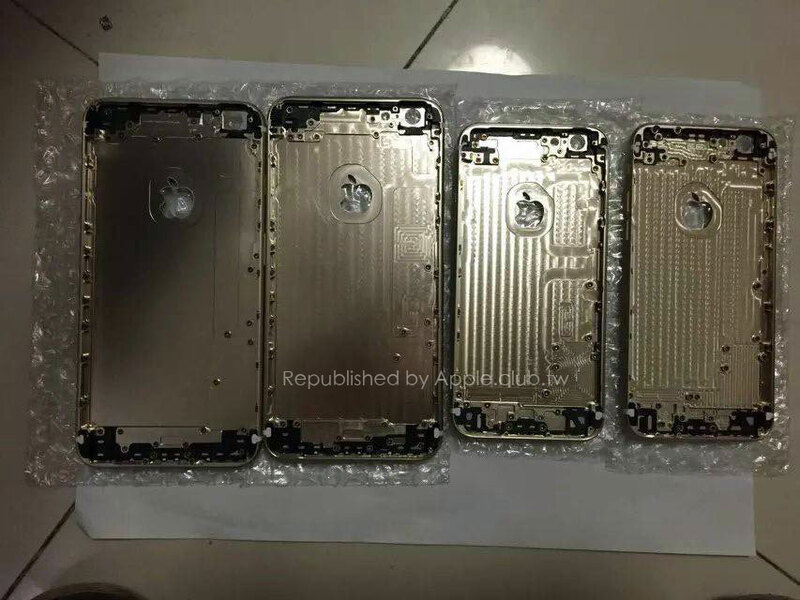 Today, images of the iPhone 6s’ display also leaked, along with a video of the logic board booting up.